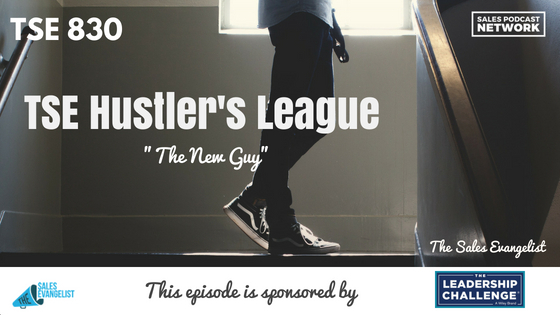 TSE 830: TSE Hustler's League-"The New Guy"
The Sales Evangelist Hustlers League brings sellers of all levels and all industries together for an online coaching program that will help them become more effective at every aspect of their work. 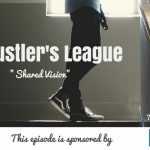 Today, we’ll hear from our newest team member, Leo, about his experience in the Hustler’s League as a new seller. Leo shared with us the lessons he has learned from The Sales Evangelist Hustlers League. At The Sales Evangelist, we understand the importance of phones for sales professionals. We also understand phone reluctance and we know that it’s common for sales people. Getting comfortable with the script and the possibility of failure are two of the biggest hurdles. We tackle it head on by putting people on the phones, and giving them the opportunity to fail early. Most sales professionals assume that qualification is about talking and selling. In fact, it’s less about talking and more about listening. You should be seeking the right people with the right background and the right capabilities at the right time. Ask questions. Listen. The client will tell you everything you need to know: what he needs and when he needs to get it done. Sit in the hot seat. We have a feature in the Hustlers League that we call the hot seat. One member addresses a challenge he has faced and the other members offer critiques and feedback. The hot seat allows sellers to identify mistakes they are making and to hear from other members of the group about their own experiences. It’s a sort of accountability partner. Sales professionals often try to speed the process along in an attempt to close deals. The client, however, may have different expectations. When sales people sync to the prospect’s timeline, it prevents frustration on the part of both people and it allows the process to flow better. Simply finding out what the client needs and how soon he needs it offers a great starting point.